This entry was posted on October 12, 2010 by iheartfilm. 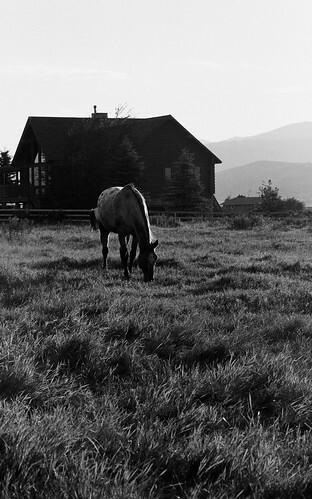 It was filed under Black and White, Horses, Ilford Delta 400, Landscape and was tagged with Black and White, horse, Ilford Delta 400, Landscape, montana, nikon f100, noritsu koki, paradise valley. Love the rim lighting on the curve of the horse’s neck. i guess i should call you the horse-whisperer because you always seem to get great shots of horses. I have been looking at this photo for about five minutes now and I still find it difficult to put my finger on what’s so special about it, but there is an awful lot of atmosphere and tranquility in it that I love. Thanks for sharing.